The Seretean Center for the Performing Arts provides the home for the Departments of Theatre and Music. Constructed in 1970 and named in honor of its principal benefactor, M. B. "Bud" Seretean, a 1947 OSU graduate, the Center is the focal point of all major dramatic and musical events on the OSU campus. The Center's 75,000 square feet include the 600-seat Vivia Locke Theatre and the 800-seat Concert Hall, as well as teaching studios for theatre and music, a variety of classrooms, the theatre scene lab, computer and design labs, a specially-designed choral room, a rehearsal hall for band and orchestra, and a well-equipped audio center, all designed to provide an excellent atmosphere in Oklahoma for the teaching of the performing arts. The Vivia Nail Locke Theatre, housed in the Seretean Center for the Performing Arts, seats 600 and is home to the Department of Theatre's main stage season, which includes the annual musical. The Locke is a fully functional theatre equipped with fly space, an orchestra pit, and all of the latest stage technology. The Vivia Locke is named after Professor Vivia Locke, who was an important faculty member at OSU who saw the department's tremendous growth throughout the mid-twentieth century. A statue of her is located in the theatre lobby. 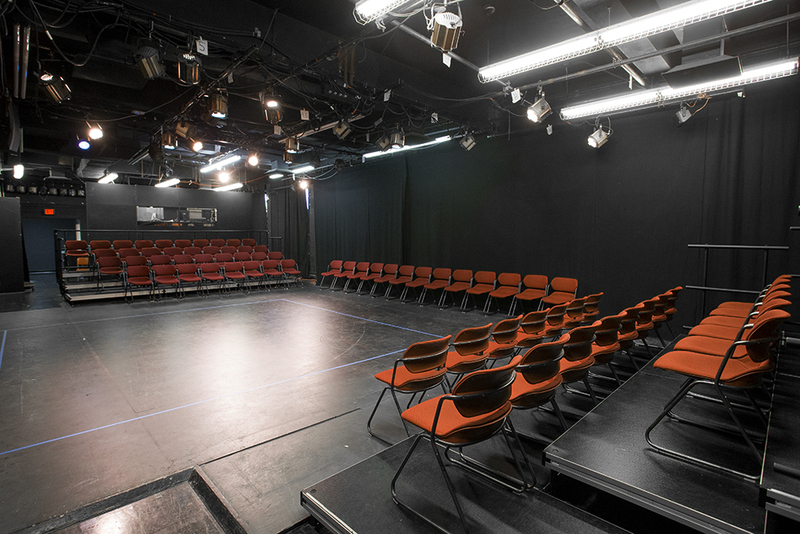 The Jerry L. Davis Studio Theatre, located on the second floor of Gundersen Hall, seats 75 and is home to the Studio Season productions of the department. These shows are often student directed and designed. The Davis Theatre also hosts a number of acting and directing classes. The Davis Theatre is named after a much loved theatre professor, Dr. Jerry Davis, who was on faculty from the early 70s to the late 90s. 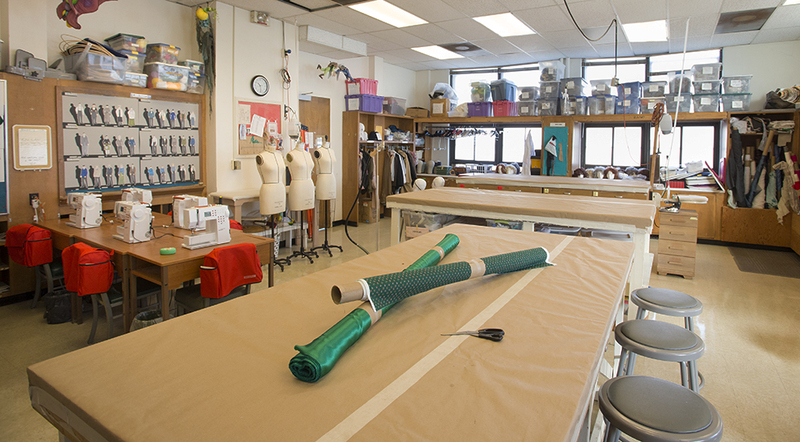 The Costume Lab is also located on the second floor of Gundersen Hall, and it is the location of all costume design and construction courses and labs. All costumes for departmental shows are constructed in the Costume Lab. 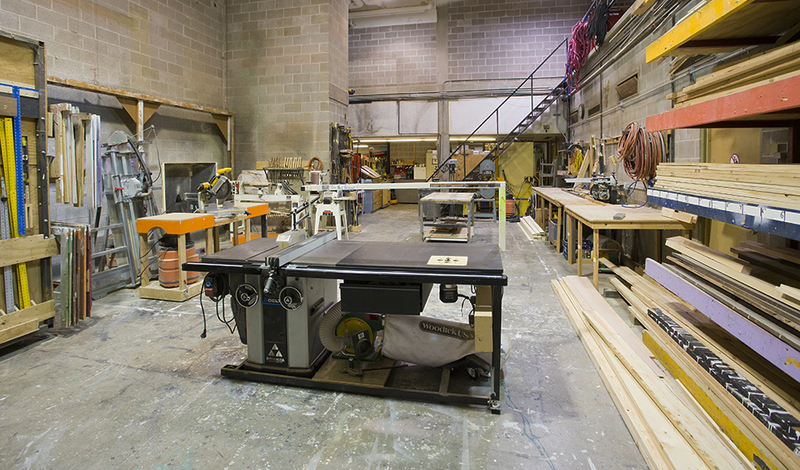 The Scene Lab is located backstage of the Vivia Locke Theatre in the Seretean Center and is the location of all stage construction courses and labs. It is fully equipped with wood and steel working machinery for set and property construction. The Design Lab, housed in the Seretean Center, doubles as a computer lab which all theatre students have access to. The Design Lab, which features both PC and Mac computers, is equipped with the latest design software and large format printers.